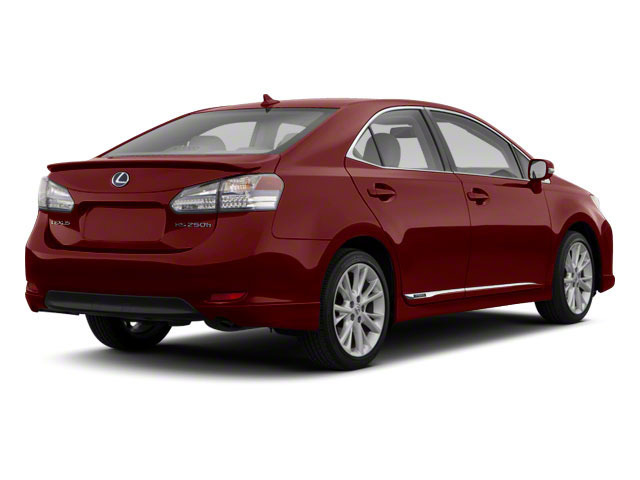 The 2012 Lexus HS250h is virtually unchanged from the 2011 model. Lexus designed the HS 250h to be a hybrid from the beginning. Unlike Lexus' other hybrid models, which are based on existing vehicles and then adapted to use hybrid powertrains, the HS 250h was always intended to be a premium hybrid car that would blend fuel efficiency, solid performance and luxury appointments. The HS 250h is offered in two different models: base and Premium. Both come with a version of Toyota's Hybrid Synergy Drive, pairing a 147-horsepower, 2.5L Atkinson Cycle 4-cylinder engine with an electric motor system, regenerative braking and a battery pack. Altogether the system produces up to 187 hp and achieves EPA fuel economy ratings of 35 mpg city, 34 highway--all on regular gas. A MacPherson strut front suspension and double-wishbone rear suspension help provide good sharp handling, and steering is provided by a rack-and-pinion design with electric power assist. The HS 250h has seating for five adults, along with a large trunk. Taller drivers might find the front headroom a bit tight. Throughout the interior--such as for the standard upholstery and some trim--Lexus used bioplastic materials from plant sources-- about 30 percent of interior and trunk trim components use so-called ecological plastics. The focal point of the interior is the dramatic curved instrument panel and its Remote Touch control, a system that utilizes a trackball-like controller in the center of the console. It controls menus and navigation-system functions with relative ease. Safety features are more abundant in the HS 250h than in many more expensive luxury cars at its price. Front and side-impact airbags are standard, as are curtain and knee for both front occupants. The HS250h also comes with active head restraints and electronic stability control, anti-lock brakes and brake assist. The base model HS offers a feature list sure to please most buyers-- including a sunroof, power heated mirrors, power seats, a smart-key system, a garage-door opener, dual-zone climate control, rear air conditioning vents and a 10-speaker sound system with 6-disc changer, USB and auxiliary inputs. Options on the base HS include a Touring Package that brings 18-inch wheels, 2-tone heated leather seats and other appearance upgrades including LED headlamps and wood trim. An optional navigation system includes XM NavTraffic and NavWeather, which integrate live traffic and weather conditions with navigation maps and routing. 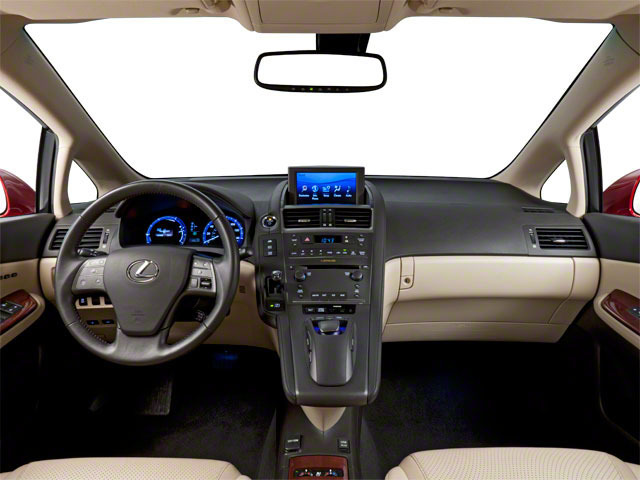 Lexus Enform is another suite of services that include a navigation system with Destination Assist and eDestination, which allow the navigation system to be programmed remotely, with access to a live concierge. A backup monitor and wide-view front monitor are also available. Upgrading to the Premium model brings leather upholstery, wood trim, heated-and-ventilated front seats, heated side mirrors with puddle lamps, and rain-sensing wipers, among other extras. Options exclusive to the Premium include Lane-Keep Assist, which reads the pavement striping, sounds an alarm and will even nudge the vehicle back into the lane. Dynamic radar cruise control monitors traffic ahead and will follow at a predetermined distance. A heads-up display, park assist, a pre-collision system and a driver attention monitor that reads the driver's face for telltale patterns of fatigue are all available as well as part of a $3,900 Tech Package. 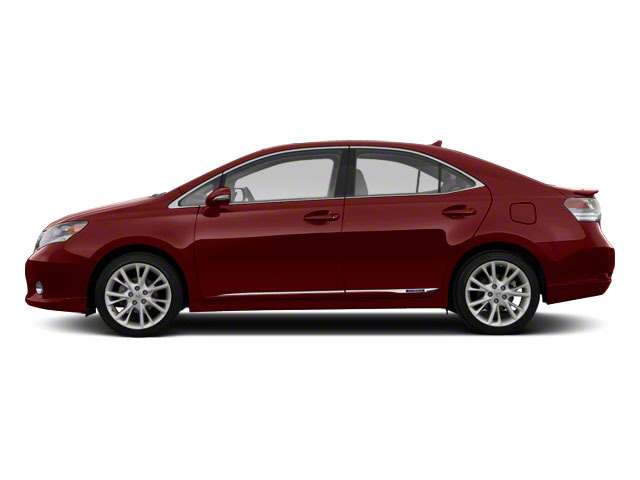 Lexus designed the HS 250h from the ground up to be a hybrid vehicle. 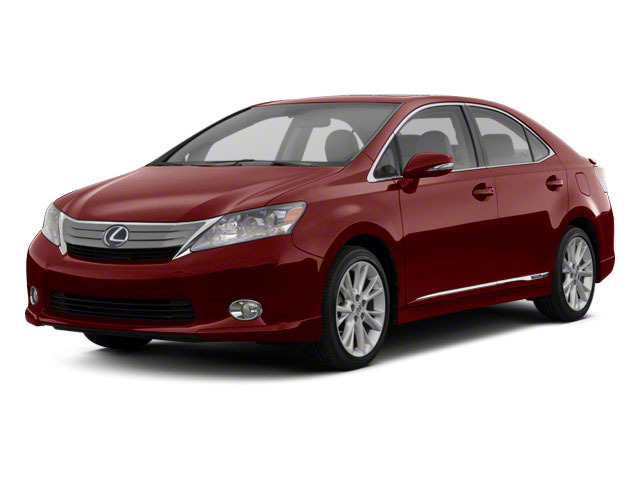 As such, it manages to achieve 35 combined mpg yet still maintain Lexus standards of comfort and performance. Safety is also a focus of the HS-- it features a total of ten airbags and class-leading accident-avoidance features. Standard features are very generous, but some exciting technology is optional, such as Lane-Keep Assist, a Heads-Up Display and a 15-speaker Mark Levinson sound system.